The senatorial candidate of All Progressives Congress (APC) in Anambra South, Senator Andy Ubah, has stated President Muhammadu Buhari will win Saturday’s poll with a landslide with or without the votes of Ndigbo. He said it was better the Igbos cast their votes for Buhari as voting against him would not stop his victory at the poll. Addressing party faithful on Wednesday at a rally in Nnewi, Ubah said the people of the zone should resist the mistakes of 2015 when APC was not voted for in the South East. He said Ndigbo should have nobody to blame if they were not seen to have massively voted for Buhari and every other candidate of the party in the zone. 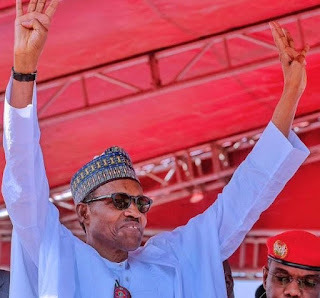 According to him: “It is obvious that President Muhammadu Buhari will be re-elected on Saturday. Whether you vote for him or not, he will win. “It is unfortunate that during the last election in 2015, only 10 million votes were recorded for Buhari in the South East. Candidate representing Nnewi North/South and Ekwusigo Federal Constituencies, Engr. Jude Onyeka said voting all APC candidates would guarrantee a team that would bring democracy dividends to the zone. On his part, National Auditor of the party, Chief George Muoghalu asked party supporters not to be confused with money or any other gratification. Other chieftains at the rally were the party’s deputy governorship candidate in 2017 in Anambra, Dozie Ikedife jnr, Nnewi North chairman, Tony Atuenyi as the host, Engr Forth Dike, J.C.Okeke, Omo Okeke, among others.